A successful business isn’t going to happen on its own. You’ll have to be persistent to make it happen. That means getting out there and networking. It means taking jobs you may not want to do, just to build your portfolio and a customer base. Don’t be afraid to ask for work. Follow up on leads. Not just once, but multiple times. It may take as many as 10 points of contact with a potential customer to actually book a job. Whenever you meet with clients, attend a networking event or set up shop at a trade show, be professional. That means the way you look and the way you present your business (via marketing materials and equipment) must measure up to the level of professionalism you want to exude. Even if you aren’t targeting an upscale audience, a suit or dressy attire is the best way to go when photographing weddings or meeting with potential clients. Professionalism isn’t just limited to the way you look, however. The way you act matters, too. Never drink alcohol at events, avoid talking politics, never talk down about your competition, treat every lead the same, and always be on time. No matter how potential and existing customers get in touch with you – whether it’s a phone call, email, text or social media message, always, always, always respond. It’s often the “early bird that catches the worm,” and even the best photographers around will lose business if they don’t pay attention to customers. You can set yourself apart from the competition by becoming known as the photographer that always answers phone calls or responds to messages. This simple act goes a long way. It’s going to happen. A lot. But don’t worry that people are intentionally shunning your photography business. It’s a competitive industry, and not every lead you come in contact with is going to hire you. If you know that ahead of time, you’ll be better prepared to deal with rejection. This is especially true when you’re first starting out. A lot of your marketing efforts and networking activity is going to end up in rejection. Don’t take it personally. Eventually, clients will spread the word about your services and more leads will pop up. Becoming known as a great photographer goes far beyond just taking great photos. The best of the best also stay up-to-date on photography equipment and technology. Here’s an example: Instead of sending your clients a link to an app that’s holding their digital pictures – a lost marketing opportunity – take the time to meet with clients again, even if it doesn’t involve a lengthy sit down meeting. 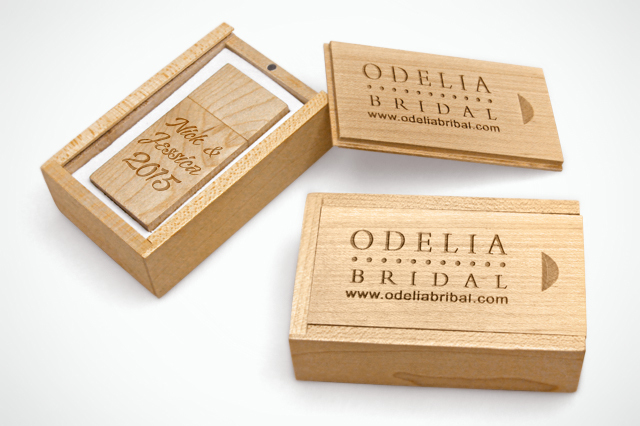 Deliver the pictures on a custom USB flash drive that bears your branding. Customers will enjoy the thoughtful touch, and it’s one more chance to help them remember your services. Who knows? They may even pass the USB on to a friend, who may eventually hire you for an event. If, at first, all you can do is photograph events for family members or friends for free – or at a very low cost – that’s OK. Consider it an investment in portfolio-building, an important step that will surely drive more business and help you make more money. In fact, it will be extremely difficult to get any customers on board with your business without it. As a newbie photographer, it’s difficult to come across as a seasoned pro while you’re learning the ropes. Some of the tricks of the trade involve bringing back up equipment with you to every event – always. Whenever you leave your home office or studio, take the time to pack back up cameras, lenses, etc. Once you’re out on the town and your flash batteries wear out unexpectedly, your client won’t understand that you forgot to pack the backups. No matter what, be prepared for the least-expected scenario to occur. Customers should know what to expect when they work with you. Set up a checklist of communication tasks to follow with every client. Once you’re hired, follow the checklist to the letter. You could send an introduction email, along with a phone call of what to expect. Decide how long you need to return digital pics or prints before you communicate with clients. Always give yourself enough lead time to get the job done, but deliver pictures early if you can. This simple, unexpected act leaves a positive impression on clients. If you’re a wedding photographer, know how often you’ll check in with clients before a wedding, for example. A nervous bride handling hundreds of details will appreciate the fact that you’re on top of things. Once you start building a portfolio and have a few events under your belt, don’t be afraid to charge what you’re worth. Wedding photographs, for example, are costly because they last a lifetime. The food, the cake, the flowers, music, decorations and embellishments, and almost everything else about a wedding will fade. But, the photos and the videos will hold the most utility, increasing in their value over time. Once you set your prices, stick to them; your professionalism, communication and work processes will also indicate your value. Your experience with weddings, anniversaries, bar mitzvahs, birthdays, and more is a hot commodity. Clients will appreciate the expertise you bring to the table, and the professional, unique photos that you deliver. 10. Be Diligent About… Having Fun! Yes, it’s your livelihood, but you should have fun while you’re doing it. With these tips in mind, you can drive a successful photography business and make a good living doing what you love. With the right systems, values and perspective in place, you can get your business off the ground and running, in no time at all.